The Caucus met to be briefed by the Minister of Women on the status report of the National Gender Machinery (NGM) and to have a discussion on cooperatives in SA. Members were briefed by Ms R Bhengu (ANC), Member of Parliament and Chairperson of the Portfolio Committee on Small Business Development, on how cooperatives could be used to empower local women economically. The briefing touched on using cooperatives to equip people with skills instead of simply giving handouts – this would result in a paradigm shift to address the process of addressing poverty. Members then engaged in discussion and various points were raised such as that transformation of women in the country was not being taken seriously, cultures of dependency, the need for a summit on women’s cooperatives and the need to set aside a day for the Caucus to discuss matters that affect and could empower women. Members spoke about women becoming producers of materials, the need for legislation to ensure enforcement of decisions taken and the need for research on why there was failure where commitments have been made, particularly on cooperatives. It was said the Caucus needs to look at its core mandate and what can be done to ensure it succeeded in advancing women’s interest and empowerment. Women also need to ensure they are asking the hard hitting questions in relation to women’s empowerment in the Committees in which they sat as the oversight work of Parliament must incorporate the women’s agenda. Success was seen with sanitary towels because of the advocacy women undertook in debates, Members’ statements, Members’ questions as well as working with civil society to ensure the noise was not only in the Houses of Parliament – this could be done again with other pressing matters. The Department of Women, led by the Minister in the Presidency responsible for women, updated the Caucus on the NGM – the briefing touched on achievements made in the women’s movement landscape, challenges and details of the review of the NGM. It was proposed the Caucus look at providing an opportunity to run a workshop for Members of Parliament on cooperatives and to understand how to use cooperatives to facilitate sustainability and reduce the dependence on social grants. Because of a lack of time, the Caucus was not briefed on the gender budgeting – this would be done postponed to another meeting as it was important to make more noise about gender-responsive budgets. The Chairperson welcomed the Minister for Women in the Presidency. She informed Members that the Caucus would receive a brief from Ms R Bhengu (ANC), Member of Parliament and Chairperson of the Portfolio Committee on Small Business Development, on how cooperatives could be used to empower local women economically. The Minister of Women would then brief the Caucus. The Chairperson celebrated the removal of VAT from sanitary pads from 2019 and noted that it was an achievement based on the advocacy activities of women. She said when the Caucus invited the Department of Women (DoW) for briefings, it was an avenue to get information that could be used for advocating for change. She reminded Members that the parliamentary term would end in a few months and advised Members to ensure that women in different Committees’ influenced women matters. She acknowledged the presence of civil society. Ms R Bhengu (ANC) said this topic was her passion. She was proud of the achievement of the removal of VAT on sanitary pads. It has taken 24 years to address the women who could not afford sanitary pads – this spoke directly to dignity. Girl children, coming from impoverished backgrounds, would miss school days because of not having sanitary pads. The achievement presented itself as an economic opportunity for women. Besides being the Chairperson of the Portfolio Committee on Small Business, she had a training background in community development as an activist. In this training there was a balance of political and social activism. Having been in Parliament since 1999, everyone knew she had an in-depth understanding of cooperatives and the social economy but she found it strange that had been given an opportunity to present to the MPWC. It is important for Members to understand cooperatives and the role they played in economic transformation. It is important to prevent the “commercialisation of poverty”. SA has had the RDP housing policy since 1994 but it has not produced housing cooperatives because the beneficiaries are simply handed the key to a house instead of being equipped with the skill of how to build a house or for the money to be deposited into a housing cooperative. This is the paradigm shift to address in the process of addressing poverty. In the commercialisation of poverty, a few capitalists were enriched while the beneficiaries of the programmes remained in poverty. The Chairperson said most people did not have the opportunity to be trained at the NGO mentioned by Ms Bhengu however the training at the NGO is still relevant. She assured Members that a day would be set aside for women to be given more opportunity to engage and discuss matters that could empower women in the future. Dr C Pilane-Majake (ANC), Deputy Minister of Public Service and Administration, welcomed the presentation by Ms Bhengu and wondered why the cooperative route had not being used to empower poor people in rural areas before. She noted that the country had been talking about transformation for women but it had not been taking it seriously. She agreed that a day be set aside to discuss matters that affect women, as the Chairperson had mentioned. Welfare packages given by government created a culture of dependency and entitlement but the briefing by Ms Bhengu had given direction on how efforts for women’s transformation could be channelled. She also supported Ms Bhengu’s passion regarding the shift from a consumption to productive economy. Ms D Raphuti (ANC) joined Dr Pilane-Majake in welcoming the briefing by Ms Bhengu. The Member was of the view that a summit on women’s cooperatives be scheduled to ensure women were better informed. The Women’s Caucus should take bold steps on transformation in economic and housing development. She agreed that a day be set aside for women to be given more opportunity to engage and discuss matters that could empower women. Ms R Lesoma (ANC) welcomed the presentation by Ms Bhengu but said government should not be event-orientated but rather ready for implementation. The process for the 30% procurement was launched on RDP houses but there was no follow-up. The Department of Women in the Presidency needs to ensure women become producers of housing basics, such as bricks, and also producers of sanitary pads. She noted there was no legislation that allows women to be capacitated for women development - if this is in place the programme would be action-based rather than event-based. The Department also needs to understand why women are not producers and ensure challenges are resolved. Ms M Chueu (ANC) said women in Parliament needed to assist each other. For example the women sitting in Finance need to assist in monitoring the 30% procurement. For this, legislation is needed to enforce the departments. The Public Finance Management Act (PFMA) did not speak to the 30% to be given to cooperatives. With the sanitary towels, it was this Caucus that called Treasury before it to speak to zero-rated products in relation to sanitary pads for the poor. Treasury should be called again to impress on it the need for the specific demarcation to women. The Caucus should specify what it wanted out of the 30% procurement – this 30% should even be increased. Big business has been getting a lot of money from government. It is time for government to concentrate on other sectors. Government also needed to be organised when it comes to eradicating poverty – as organised as the Afrikaaners were to acquire power. Ms T Didiza (ANC) was pleased to see achievements in some of the work the Committee does. The Caucus needs to look at its core mandate and what can be done to ensure it succeeded in advancing women’s interest and empowerment. It is not because there is a shortage of instruments – there are legal instruments and policies but the question is why there is no movement. Women should ensure that in the Committee they sit, they need to ask the question of how far matters were. When departments presented, women Members of Parliament need to ask these questions i.e. where are we, what are the failures, how is the department dealing with the failures. The oversight work of Parliament must incorporate the women’s agenda. Success was seen with sanitary towels because of the advocacy women undertook in debates, Members’ statements, Members’ questions as well as working with civil society to ensure the noise was not only in the Houses of Parliament – this could be done again with other pressing matters. Research needed to be done on why there was failure where commitments have been made, particularly on cooperatives. Is it because there is no commitment from government or because some cooperatives did not have a commonality which binds it together? The end product is about training these members. However putting two people together with no common objective in a partnership, business or relationship would not work – it would not work if it is on opportunity only, unlike in construction. Relationships must be solid among those who work in a cooperative. She was of the view that it was important to look at what led to failure. Ms Heather Malcomess, Digital Innovator NGO, said the challenge was that women at the bottom where not recognised. She has been struggling to get into Parliament for eight years. If a man had done what she did, he would have been in huge committees by now but because she was a woman she was not even recognised. The furthest she got was to speak to the Government Communication and Information System (GCIS) but it did not know what department to put her in touch with. Dr S Thembekwayo (EFF) said that with every new project which was initiated, one forgot to check the possibility for failures in the execution of duties. She agreed with Ms Didiza that one must be careful of the composition of the cooperatives. It is important to ensure there was continuity. The project could be started as long as the monitoring and evaluation instrument was there. She raised the prospect of a feasibility study. Ms Bhengu appreciated the opportunity to brief the Caucus. 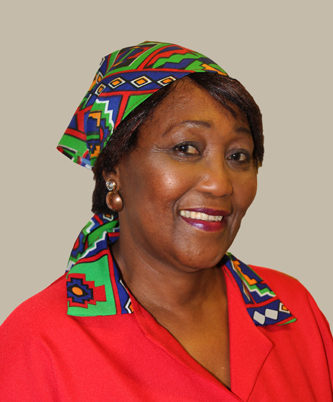 It was known that she studied community development yet she was never utilised by the Women’s Caucus to broaden the understanding of economic and social transformation. Members are not only Members of Parliament but members of communities. In 2005 when she exited Parliament, she received a pension but had to prioritise matters. He daughter was sick at the time with HIV and no medical aid. They ended up living as beggars until she was appointed as a Deputy Mayor – having been a Member since 1999, nothing prepared her for that exit from Parliament. As Deputy Mayor, she was assigned to intervene and come up with a solution to make 300 cooperatives sustainable. She developed a model and presented it to the Department of Trade and Industry (DTI) in Pretoria. The model spoke on how to develop school nutrition programmes in a developmental manner and how to provide linen in hospitals in a developmental manner. Youth members at the time were demanding jobs and as Deputy Mayor, Ms Bhengu was asked to intervene. The youth were unemployed because they did not have skills. At the time there was also a problem of potholes – a model was developed to use this as a skills training intervention to empower the youth instead of going on tender to close the potholes. This project was done because power to govern was used and to implement government policies to change the manner in which the economy was interacted with. The contractors were angry but she did not care as she made it clear how the municipality would be governed. Other opportunities were also created to use the youth to mark the roads and produce the bricks to be used. There was also a model for sanitation and upgrading schools – the problem was buy-in from DTI. This same problem existed today. She spoke the truth whether it was liked or not. SA has an 88% failure rate for cooperatives – if government produces figures for how much was spent on cooperatives since 1994 it would be shameful. Ms Bhengu said cooperatives are an instrument for transforming the economy. Three pillars are used to transform and balance the economy - public enterprises, state enterprises and community-owned enterprises and this is called the social economy. A political decision was taken, after analysing the conditions in SA, to change. This decision in 1969 to dilute capitalist dominance to introduce a means-economy driven by the state, private sector, communities and workers. The Freedom Charter said “the wealth of the country would be shared amongst the people” – this was done through transforming the economy into a mixed economy participating of the state, private sector and the community like a pot with three legs. This balance needs to be transformed in SA so that the pot had even legs. The more than 43 000 cooperatives created were excluded from this mix. Less than 200 people died in the Marikana incident and the Life Esidemeni incident yet for both Commissions of Inquiry were established – out of 43 000 registered cooperatives, 88% died but nothing was done on where this money went to and the situation continued. The Chairperson noted that more time was needed. The women component of Parliament is so rich but they are never utilised. So many programmes were highlighted by Ms Bhengu which should have been a success. She wished some of the leaders were present. Most of the matters raised cut across parties. The eyes of those present have been opened. Ms Bathabile Dlamini, Minister for Women in the Presidency, agreed that more time was needed to discuss matters to address with the Caucus. She started by highlighting the importance of understanding gender and women’s issues. Women are diverse. Women in SA, like other countries who have fought for liberation, come from a particular background. The matter of violence against women became stronger when the National Party took over. Families were destroyed and what is currently seen in SA is a clear indication of the damage that was caused. Definitions for families were created by apartheid to enforce oppression such as the idea of an extended vs. nuclear family where a grandmother was seen as a burden, not someone who gives support. Decision making in families were made in a circular fashion. When people see LGBTQIA individuals today, it is as if they have never existed before. No one belonging to such grouping was killed then. Now things are being done in the name of culture when they are in fact criminal. SA has a good Constitution. She spoke to the process around sanitary towels noting that it was only a framework which could be changed at any time. It is therefore important for Members to question what was presented to them as being progressive when it in fact is not. It is important for the Caucus to assess budgets going towards different strata of women – this applied to the State of the Nation Address, Budget and Budget Votes of all departments. 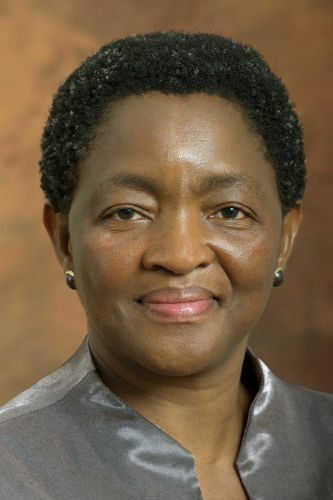 Minister Dlamini said the matter of cooperatives was taken for granted – she used the example of sewing uniforms and material which could not be accessed. Other cooperatives were given a lot of money even though they did not operate as cooperatives – these cooperatives had bosses when a cooperative is supposed to function through a committee. There is a need for discussion with National Treasury on what it understood to be gender-responsive budgeting. All departments must have gender-responsive budgets which can be monitored, evaluated and audited – these budgets must have expression among the poor. The system used by Cabinet of presenting impact assessments before a policy is approved should also be used with the gender-responsive budgets. Women would be sacrificed if we continue to be nice. The Department of Planning, Monitoring and Evaluation should also be involved in the planning for women because departments are working in silos – this was not helpful. In Kenya, the Speaker is involved in ensuring there is empowerment of women and the quality of lives of women were improved. The Minister called for a single programme of action for women. Reports of different departments on what has been done must be scrutinised. There must be a focus on legislation to give frameworks a standing. Women must be assertive and unapologetic about the work they are doing otherwise they would always be told they are wrong even when they know they are not wrong. Issues related to women must be looked at in the budgets for the coming year. The Chairperson noted the Minister had given the Caucus an inkling of how budgeting is done and how matters are processed in Cabinet. Members are now more knowledgeable about what the predicaments are especially gender-responsive budgets. Ms Esther Maluleke, Department of Women Chief Director: Governance, Transformation, Justice and Security, began by touching on achievements made in the women’s movement landscape which included constitutional, legislative and policy frameworks, women’s parliamentary representation, women’s access to leadership positions/decision making, active civil society and establishment of the NGM. As a preface to the challenges, the problem statement was outlined – this included the sexist and masculinist norms and attitudes in society, which harmed gender norms and manifested itself in Gender-Based Violence (GBV), impact of patriarchy on institutions which affected equality, access to and ownership of land, poverty and unemployment and persistence of GBV. The review of the NGM is to assess the current status of the NGM and its capacity to drive gender equality and women’s empowerment agenda, examine programming, services, directions, organisational efficiency and resource capabilities of various NGM structures, highlight strengths, challenges, gaps and opportunities for the NGM and identify policy recommendations and actions to be implemented to enable the NGM to function fully and effectively. Ms Maluleke said the goals of the review are to enhance and reconfigure, potentially, the NGM in order to strengthen and employ a robust gender management system for advancing gender equality and women’s empowerment agenda and contribute to the current debate on the role and effectiveness of the NGM and how women’s issues could be best streamlined in all of the NGM structures to enhance coordination. In terms of project management and coordination, the review would involve the Department of Women (provide strategic leadership, support and management of the project), NGM Review Task Team (government departments GFPs, international women’s rights advocates, Chapter Nine institutions, civil society and academics) and NGM Review Expert Advisory Group (international and national scholars and feminist/gender activists). The project will be undertaken from 3 September 2018 to 31 March 2019. The review will draw primarily on the legislative context of the NGM and assess the extent to which theory and practice converge towards attainment of the vision for gender equality. The strength of the methodology of this project lies in the diversity of the sectors, skills and expertise combined. Ms N Abraham-Ntantiso (ANC) appreciated the briefings by Ms Bhengu and the Minister. She thought the three large challenges facing the country, namely, inequality, poverty and unemployment, were feminine in nature, affecting black women in particular. The idea of empowering women was there but this was not matched by the resources to do so – how much of investment would be going to women projects? There must be investment in local areas e.g. manufacturing sanitary towels in a local area would not only provide women and girls with sanitary towels but could create jobs for these women. GBV is closely linked to anger in society – deeper analysis of why society was so angry is required to reduce GBV. The Women’s Caucus must be a platform for women to come together and talk about gender focal points in the various departments – some of these points were on a lower level and did not have enough power to influence decision-making. Dr Pilane-Majake said the process was long overdue as the NGM collapsed and almost derailed the agenda for women in SA. Responsibilities of the partners in the NGM must be looked at e.g. who was responsible for mainstreaming, monitoring etc – institutional mechanisms to establish women in SA requires emphasis and should be part of the study. Resourcing of the NGM is important – the budget of the Women’s Ministry is not much and this already sets up failure in this regard. At the same time this budget is shared with the CGE so the Department remains with almost nothing. The research process should also look at how to move forward the Women Empowerment and Gender Equality Bill (originally withdrawn from Parliament) as the Bill itself is an instrument to implement the national gender policy framework to transform SA’s society and ensure women’s issues are taken seriously. She appreciated the clear process around data collection for the study which in itself resuscitates the NGM. The policy framework is important at national and regional level. Ms P Ngwenya-Mabila (ANC) was concerned by the access women had to financial support to actually work the land they owned. She appealed for the establish of gender focal points at local, ground level as this is where most women are located. Women and health must also be part of the process. She highlighted the challenge of women who are unable to work side by side, also known as the “queen bee syndrome” – this must be dealt with. Ms Chueu said the focal group meetings needed to involve National Treasury and the Department of Public Service and Administration. The meetings should also include Cabinet Ministers. There should be establishment of a gender economic council to monitor the elevation of women and ring fencing of budgets – this should be covered by legislation. The council should have the power to refuse budgets for departments not implementing the NGM. Ms Raphuti suggested the Minister and Chairperson speed up the women’s summit on cooperatives to look at which ones were working and which were not. The aim of a cooperative is to benefit everyone involved. Ms Bhengu concurred with the idea of a summit – a similar request was made in the Portfolio Committee for Small Business Development but this was only amongst six Members. It was supposed to be a call made by all Members of the National Assembly, NCOP, provinces, municipalities and all government officials. The challenge with summits is that they sometimes became events or the end product instead of using the summit to achieve a particular goal. SA has carried the idea of cooperatives for 24 years but there was still an 88% failure rate. 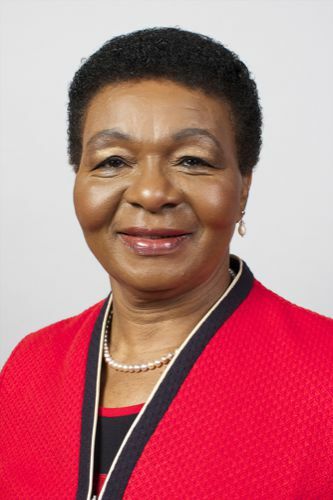 In addition to a summit, she proposed the Women’s Caucus provide opportunities for running workshops for Members of Parliament on cooperatives and to understand how to use cooperatives to facilitate sustainability and reduce the dependence on social grants – it cannot be celebrated that there are 17 million people on social grants. There must be development of social economies to make communities sustainable. Community development required better understanding. The Chairperson noted that because of time, unfortunately Minister Dlamini was unable to touch on the presentation relating to gender budgeting – this briefing would be postponed to 29 November. Gender-responsive budgeting is critical – the Caucus must organise itself when it comes to passing the Budgetary Review and Recommendation Reports (BRRRs). The Caucus has been ridiculed when discussing the idea of gender-responsive budgets – more noise must be made. She asked the Minister if her Department was involved in selecting the people who would be serving on the Council – one must be careful with this selection. Ms B Dlulane (ANC) suggested that because the meeting of 29 November would be the last meeting of the Caucus for the year, there should also be a briefing on the 16 Days of Activism. Minister Dlamini agreed with all proposals but noted that women’s struggles needed continuous mobilisation. There should be some form of disciplined dissent to ensure the long struggle of women in SA was undermined. When it was said equal work for equal pay, companies see this as a loss of revenue – it must be remembered who controls the means of production. Radicalism of women’s struggles started a long time ago and great strides have been made but one must question what is being done for the coming generations. Violence and poverty has the face of a woman – for too long, changes which were supposed to be made, especially in Parliament, have not been made for example, with the justice system. Women cannot be reduced to statistics – women are human beings and make up 51% of the SA population. Women have been proven to be more effective than their male counterparts in high positions. There must be a particular way of addressing grants – they are part of social solidarity and part of the work previous generations have done when they did not have access to pensions, for example. Grants show poverty has a history – many people did not have an alternative so one must be careful of the criticism of grants. Grants themselves can be used to empower people. In Uganda, before a Minister gives a budget vote speech, it must have undergone scrutiny and approval by a particular committee. People should note that everyone has made mistakes and grows – gender relations are better understood as one grows. A perfect human being is not real. The Department is always ready to come to the Committee and take up proposals. A programme on the 16 Days of Activism would be sent to the Caucus.